As many others have noted, this contradicts the customary principle of international law that prohibits the return of anyone to a place where they could be persecuted, tortured, or face other human rights violations. This is called the principle of “non-refoulement.” Forcibly returning refugees to abusive situations is nothing new for Thailand. We recall the 100 Uighurs returned to China in July 2015. The rumor is that the whole group were killed after they returned! Thailand has often had a “push back” policy for Rohingya fleeing ethnic cleansing in Myanmar by boat, even after during the boat crisis in May 2015 when at least 375 individuals died at sea. Rather than take in the refugees, Thailand would restock the boats and send them back out to sea, often with claims that the boats had refused offers to come ashore because they were on their way to Indonesia or Malaysia. Article 3 of the Universal Declaration of Human Rights states that everyone has the right to life, liberty, and security of person. Article 14 (1) states that everyone has the right to seek and to enjoy in other countries asylum from persecution. Article 19 states that everyone has the right to freedom of opinion and expression. This would include the right of a Cambodian woman to throw a shoe at a billboard of Cambodia’s dictator. TAHR condemns this whole pattern of abuse in and around Thailand and asks that the human rights of asylum seekers be recognized and respected. We join with Human Rights Watch in urging Thailand to complete steps begun to develop a full, effective, and fair procedure to evaluate claims for refugee status and protection, procedures which currently do not exist. TAHR would also like to highlight a sinister detail of this most recent case of refoulement that bears on our mission to protect Thai human rights. 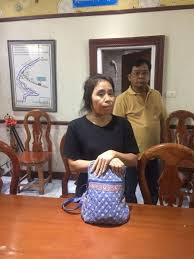 Unlike the previous incidents, the case of Sam Sokha involved just one person who posed no burden to Thailand as UNHCR was about to send her to a third country. Thais couldn’t possibly care about her supposed “crime” (throwing a shoe at a billboard of a neighboring dictator), and yet Thailand acted deliberately, over international objections, to send her to her doom. Why? We suspect it’s because the Thai junta has its own long list of most-wanted dissidents who have done nothing worse than throwing a shoe at a billboard. For instance, the Thai junta has repeatedly sent out lists of “lese majesty suspects” to foreign countries asking for their extradition. It frustrates the junta leaders to no end that no country even responds to these requests, as insulting the Thai king is not recognized as a crime outside of Thailand, and indeed, the lese majesty law itself is considered a crime outside of Thailand, as it violates international human rights treaties that Thailand itself has signed. In the context of the ongoing witchhunt for lese majesty suspects (i.e. anyone the Thai junta doesn’t like), we have to consider that Thailand is attempting to set a precedent: that asylum seekers should be returned to their home country upon request of that country without regard to the reason for that request. 1) It is a disaster for Sam Sokha personally, as she serves time in jail for peacefully expressing her frustration with a dictator. 2) It is a disaster for those currently protected by the already very low and precarious human rights standards in the region. This includes the steady stream of Thais, innocent of wrongdoing, who are nevertheless driven out of their home country to seek asylum all around the world due to political reasons. Of course lese majesty is not the only frivolous charge made against Thai political dissidents; it is only the most obviously frivolous. We mention the case of Chanoknan Ruamsap (nickname: Cartoon), a 24 year-old pro-democracy activist who fled last month to an undisclosed country, after she has been charged with lese majesty for sharing a BBC news article about the Thai king on Facebook. We mention the extraordinary reporter and International Press Freedom Award winner Pravit Rojanaphruk, who has been charged with sedition for statements against the junta, who has been advised to flee the country, although so far, he says he will stay and fight the charges. We mention former Prime Minister Yingluck Shinawatra, prosecuted for negligence in administering a rice pledging scheme by the military junta that overthrew her government. And we mention with pride that the Board of Directors of our own Thai Alliance for Human Rights includes current and successful asylum seekers.